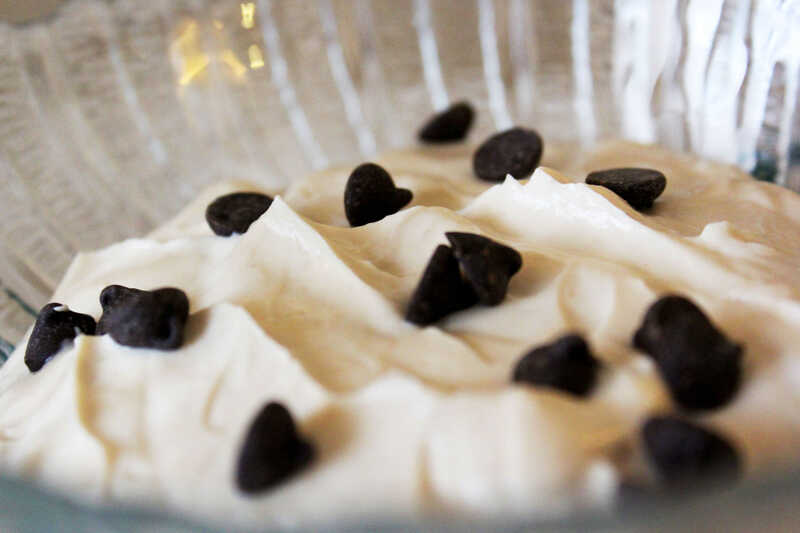 Peanut butter cookie dough yogurt – a filling snack that will not only curb your cravings, but help keep you slim and trim! 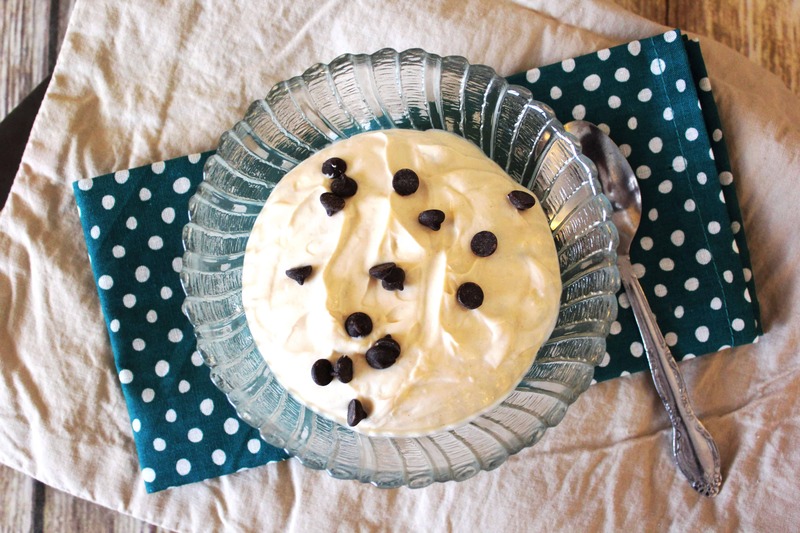 Guilt-free and packed full of flavor, this Greek yogurt is a treat you will reach for often! As has happened with a number of my recipes, this one was born out of desperation. Ok, ok, “desperation” may be a strong word! But it was time for breakfast, and I had not the slightest idea what I was going to eat. 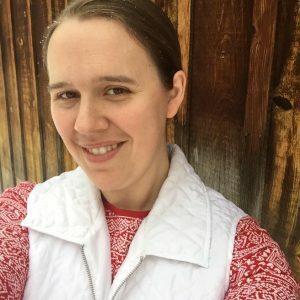 I have been doing quite well with my menu plans, but I did not get one made for this past week (BAD)! There was a definite difference in my eating! I have learned that I do so much better when I already have my meals planned ahead of time. However, in this case, I ended up with a new (to me) yogurt variation! Now I realize that some of you may already do this – and if you do, please don’t think I am trying to steal your recipe! I just added ingredients I had on hand, and viola – this yummy concoction! 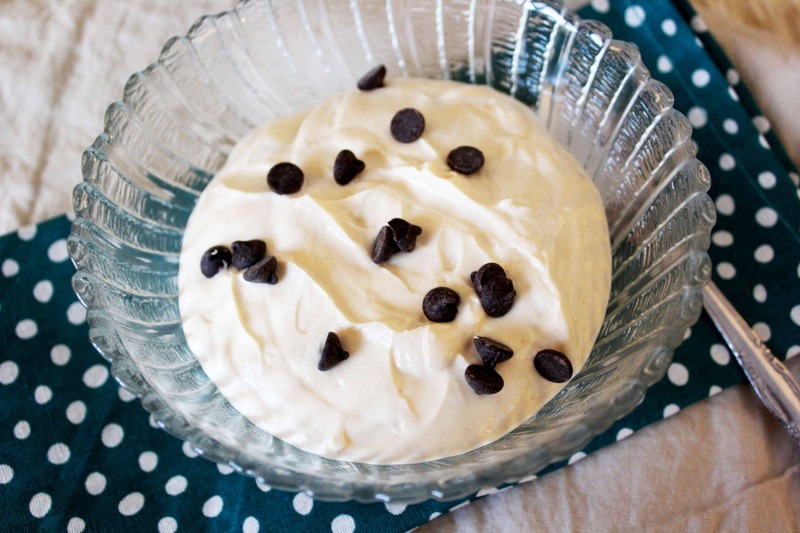 I love Greek yogurt because it is so versatile! But not only is it versatile, it is packed full of protein! It is a great way to start your day, or to use as a quick “pick me up” in the afternoon. If you would like more yogurt ideas, check out my Copycat Triple Zero Yogurt Recipe, this Strawberry Yogurt, or this collection of yogurt recipes by Briana Thomas! I use the Kirkland Brand fat free yogurt, which has 18 grams of protein for 3/4 cup (the amount used in this recipe). Add the 2 Tablespoons of Peanut Flour, and that brings the protein total to 26 grams! Not too bad for an afternoon snack! As written, this recipe is a Fuel Pull (not a significant source of carbs or fats). If you want to make this an S, feel free to use 1 Tablespoon of natural peanut butter in place of the peanut flour. 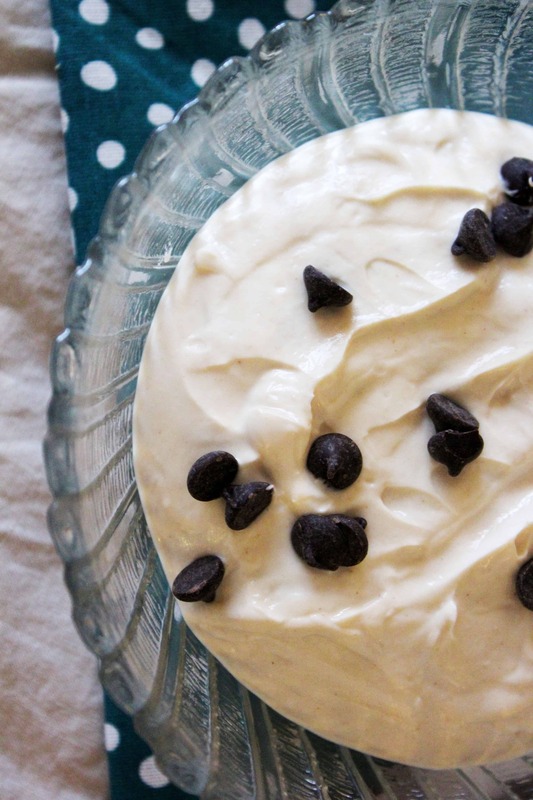 You could also use more Lily’s chocolate chips! I gave this to my 2 year old for breakfast this morning, and she loved it! She made quite a mess, but hey, at least she was cute! A "Doonk" is 1/32 of a teaspoon. This is such a simple recipe, but it sounds delicious. Where can I find THM brand peanut butter powder.? I didn’t know that a “doonk” was what 1/32 of a teaspoon was called. Is that really what it’s called? You can order the THM Brand peanut powder through my affiliate link in the recipe card. Just click on the link and it will take you to the product on Amazon. 🙂 The term “doonk” was coined by the authors of the THM plan, and has just become a fun way measuring! (You would not find it in a dictionary!) ? What a great combination! I wish my son had been as adventurous as your daughter when he was her age! Great combination. I absolutely love peanut flour, but have not thought to put it into yogurt. Thanks for the idea. What a great recipe. I could definitely eat this for breakfast! I am a big fan of peanut flour. What a good idea to add it in a yoghurt! This sounds so good! What a great idea for breakfast! I’m always looking for healthy afternoon treats. This looks great! Welcome to Yum Goggle! We are following you on all your social media and hope you will follow us back. We will do our best to tag you each time we promote your posts – except on twitter………..every time we approve, your photo and post is promoted on twitter and pinned to Pinterest automatically. Kelli at YG! Sarah, this sounds terrific….I actually made a FP snack the other night when I was desperate too. I found it online at https://northernnester.com/peanut-butter-cheesecake-bowl. It is similar to yours, but uses cottage cheese instead of the yogurt. I just made a batch of yours, and it is delicious as well, just has a different taste. I’m keeping these in the fridge for “those desperate moments”. They are so filling and decadent! Thank you so much.